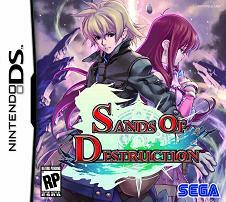 Sands of Destruction begins with a flashy intro video and voice-acted dialogue. 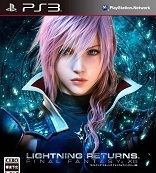 The game will continue using the in-game engine and voice acting to tell much of its story. This is enjoyable, as the tale contains a surprising amount of humor for game about trying to blow up the world, and the English voice cast does as good a job as the Japanese did. The story told is that of a bunch of furries governing the world, and humans hating it so much, a group decides to track down some young dweeb and make him blow up the whole world. “Give me liberty or give me death” and all that. It functions well enough. Sometimes the characters will leap into the top screen to attack foes. transition. Random battles have long been a staple of RPGs, and without them, something would definitely be missing, but so many RPGs suffer from: an encounter rate just a bit too high. Sands of Destruction’s isn’t a game breaker — no, no — but it is a negative point. 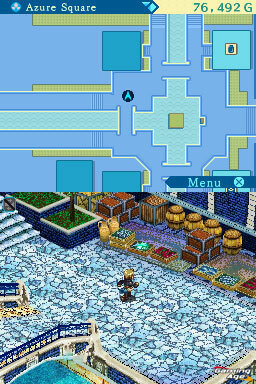 Within a dungeon with a rotatable camera, so frequently being taken to a different screen can sadly cause the player to rely upon that top screen’s map a bit much. Kinda takes some of the fun out of it. At least, with all those battles, the combat system is pretty good. Feeling a tad similar to Xenosaga, characters begin a turn by selecting one of a few attack options. X for a stronger, usually one-hit attack, or Y for one that’s somewhat weker, though likely to hit more times, B to defend, or A to get into magic and items and stuff. The system is fun enough and the deep customization system that goes along with it helps it all the more. 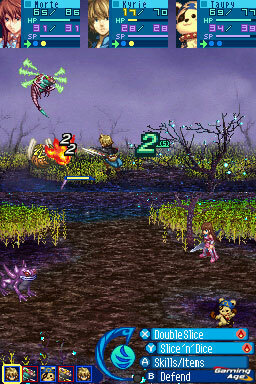 After each battle, characters gain the token EXP as well as Custom Points, which allow the player to modify the attributes of a given character’s actions. If one wants to, hypothetically, say, add some power to a certain attack, one can do so by spending some of these $points after battle, though it’ll come at the cost of that attack’s speed or accuracy. Raising the amount of damage a magic spell does will also raise the MP cost, and conversely, using the custom points to lower the MP cost will in turn decrease the strength of the spell. In this way, each character is quite customizable, and it’s fun to sort of weigh one’s options. Though when points are spent to alter an action, the results are permanent, so one must proceed with caution. Using this too well, regretfully, can contribute to the game becoming ridiculously easy. Customize intelligently and use combos well, and players won’t have any problems with the enemies in this game, bosses included. 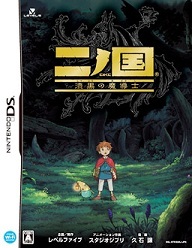 The game has even had its difficulty curved downward from the Japanese version, which was easy enough already. The town is visually appealing, but overall kinda lifeless. Blow it up. RPGamers who see town exploration as one of the more enjoyable aspects of an RPG won’t find much to love in Sands of Destruction. While the dungeons can sometimes have sprawling layouts and feature full camera rotation, the towns tend to be very bland and are not given a whole lot of love. They often feel boxy and are hampered by all kinds of invisible walls. To some players, this won’t matter in the least, but others will see it as a strike that restricts how “close” to the game’s world the player can get. Well, since the party is trying to blow it up, maybe it’s best for players not to get to into this game’s world anyway, eh? Graphically, Sands of Destruction is competent enough, with its 3D dungeons, 2.5D isometrically viewed towns, and detailed character sprites. Yasunori Mitsuda’s music is very nice, as usual, and the sound effects are fine. Oddly, there is practically no touch screen use in this game. Get out hat stylus and tap tap tap away, tap tap taparoo, Happy. Nothing happens. All the menus are on the top screen, and in battle, one can poke the lower-screen options all he likes, but nothing goes unless a button is pressed. This is not a complaint, mind you, just an observation that seems odd for a DS title. towns usually lack flavor. 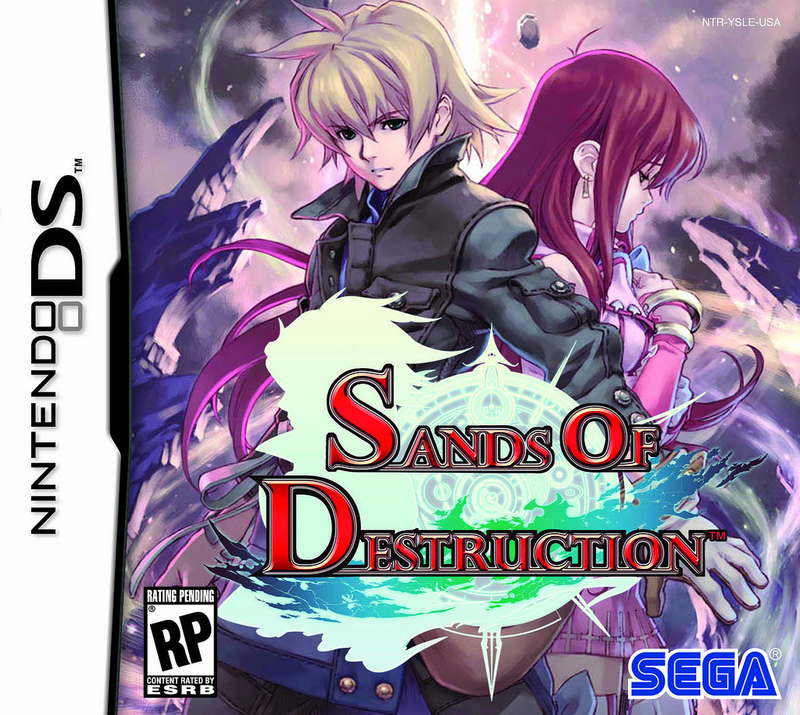 Sands of Destruction ends up being good, but not great.